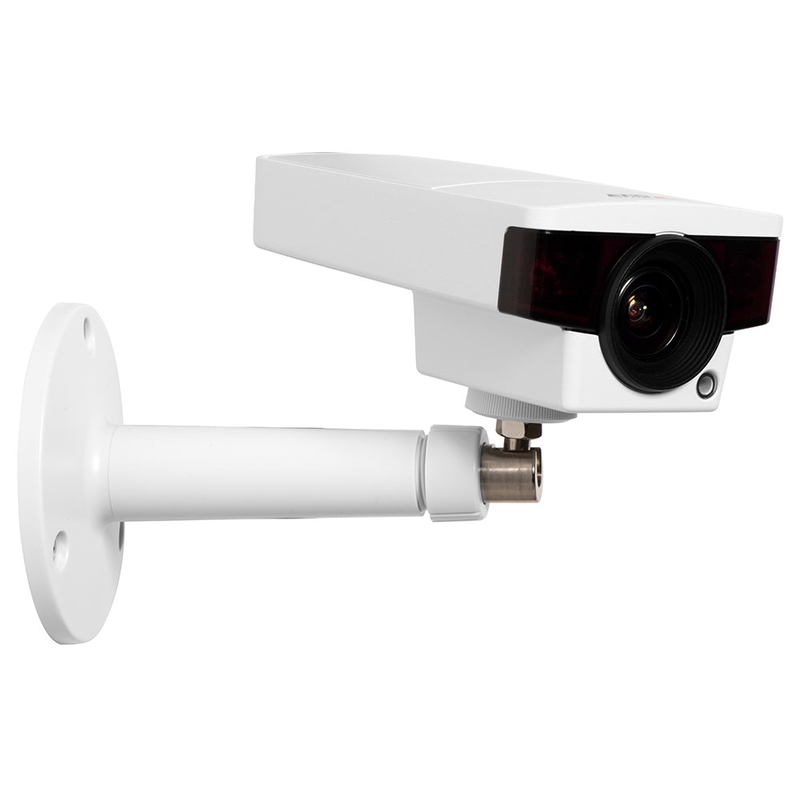 Note: Axis 0591-021 is a 10-pack of Axis M1145-L IP cameras. If you wish to purchase the cameras singly, go to Axis 0591-001. Axis M1145-L is an indoor bullet IP camera that uses a P-iris lens to give richly detailed 1080p Full HD video. M1145-L comes with Axis OptimizedIR technology for taking video in pitch-black conditions. The power-efficient infrared LEDs have a range of 50ft and are adjustable. M1145-L takes 1080p Full HD video using a varifocal P-iris lens and a 2MP CMOS sensor. With a maximum aperture of f/1.4, it takes bright, color video even down to 0.4 lux and monochrome video in pitch-black situations using infrared. M1145-L supports Axis WDR dynamic contrast technology for high-contrast scenes. Axis M1145-L is a PoE device, so you can power it through your network. Store video with network-attached storage or locally using a microSD card. The package includes an Axis stand for secure installation. An indoor camera, its operating temperature range is 32°F to 122°F. Axis M1145-L is ONVIF Profile S and Profile G compliant, making it interoperable with networking and storage solutions from many companies.